The statistics are sobering. On any given day, there are over 400,000 children in the foster care system in the United States. What is far more sobering, is the realization that those statistics aren’t just numbers. Each one represents a human being that was subjected to such severe neglect and/or abuse that the state deemed it necessary to intervene and remove them from their home – the very place where a child is supposed to be nurtured and protected. 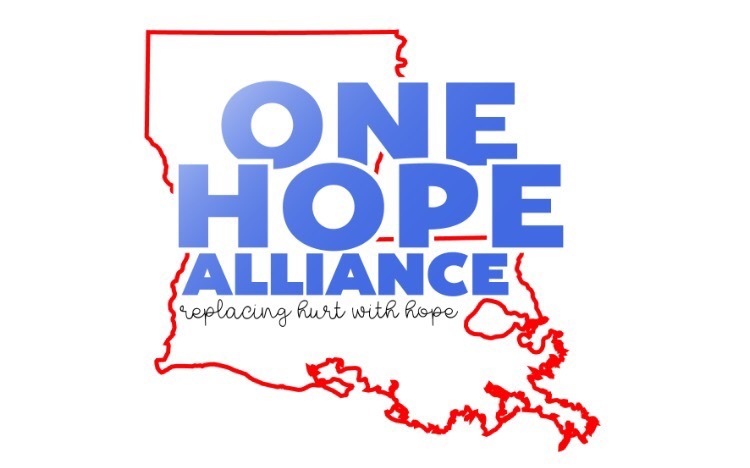 With the lives of so many children collapsing into shattered pieces, I’m incredibly grateful that God has positioned me in a place to make a difference through One Hope Alliance – a 501(c)(3) geared towards creating life changing moments for kids in the Louisiana foster care system. One of the main focus areas of One Hope is Royal Family Kids Camp - a Christian based camp for children ages 7-12 in foster care. I have had the incredible honor of volunteering at the camp for three years – one as a staff member, and two as a counselor. I never expected one week to change my life so radically. For five days, we committed to investing Christ’s love with intentionality. We held birthday parties and gave gifts to every single camper – some of which never had their birthday celebrated in their entire lives. By the end we found ourselves exhausted – emotionally and physically – but man, did we also have FUN! We’re talking about hours every day swimming in a pond, taking bike rides, playing games, building things at workshop, singing songs, watching plays about bible stories…the list goes on and on. Each day was jam-packed with activities and meaningful moments. There were moments that made us laugh. One of my favorite memories revolved around the obstacle course – a unique feature of the particular campground we used. The course was no joke – it was specifically set up for local Navy SEALs to train when on leave from base. There were moments that made us cry. Few things can knock a man to his knees quicker than a child looking him in the eyes to ask why their mom/dad doesn’t love them. Then there were those special moments that reminded us exactly of why we were there. We quickly wrote a couple of letters and triumphantly barged back in to show him what we had “found.” I still tear up when I see that face lighting up in my mind. I vowed at that moment to personally write a letter to each of the campers in my cabin every single day so that would not happen again. At the end of the day, it’s the impact to the kids that comprises the value of the camp – and we hear about it all year long as foster parents and DCFS workers relay the children’s excitement and anticipation for the next year. One of our graduated campers told us how he couldn’t wait until he was old enough to be a counselor himself. There couldn’t be sweeter words to encourage us to continue partaking in God’s transformational work through camp. However, to continue engaging in the work, we need your support. We are seeking 1,000 volunteers to pledge $17 a month for five years to establish a new campground and expand the reach and impact of One Hope’s ministry focus. Whether you choose to make that commitment yourself, or decide instead to make a one-time tax-deductible donation, your funds will have a direct impact on converting that dream into reality. We also need camp counselors for the Royal Family Kids camp in the Hammond region of Louisiana. Please prayerfully consider joining us on our mission of replacing hurt with hope – helping children redefine their image and change the overall trajectory of their life. The more donations we receive, the greater our influence to create a difference. The more counselors we have, the more hurting children will get to come to camp and experience the love of Christ. At the end of the day, the truth boils down to this: All of us are broken. All of us are sinners in need a savior. All of us have “One Hope” – the hope through Jesus Christ.